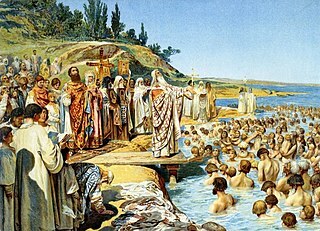 Boris and Gleb, Christian names Roman and David, respectively, were the first saints canonized in Kievan Rus' after the Christianization of the country. Their feast day is observed on July 24. 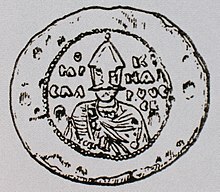 The medieval state of Kievan Rus' incorporated parts of what is now modern Ukraine, Russia, and Belarus, and was centered on Kiev and Novgorod. Its architecture is the earliest period of Russian architecture, with a style that quickly established itself after the adoption of Christianity in 988 and was strongly influenced by Byzantine architecture. 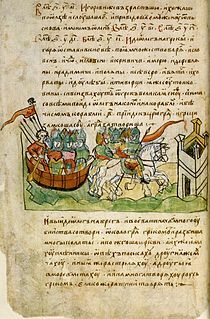 The intervention in the Kievan succession crisis of 1015–1019 by the Polish ruler Bolesław Chrobry was an episode in the struggle between Sviatopolk I Vladimirovich and his brother Yaroslav for the rulership of Kiev and Kievan Rus'. 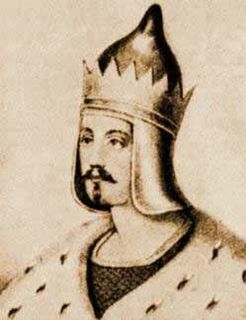 It occurred when Sviatopolk's father-in-law Bolesław, ruler of Poland, intervened on Sviatopolk's behalf. Ingegerd Olofsdotter of Sweden, also known as Irene, Anna and Saint Anna , was a Swedish princess and a Grand Princess of Kiev. She was the daughter of Swedish King Olof Skötkonung and Estrid of the Obotrites and the consort of Yaroslav I the Wise of Kiev. Ingegerd or Saint Anna is often confused with the mother of Saint Vladimir “the Enlightener” of the Rus. This is mainly because Ingegerd and Yaroslav also had a son named Vladimir. However, Saint Vladimir was the father of Ingegerd’s husband Yaroslav I “the Wise”, thus making her Saint Vladimir’s daughter-in-law. Saint Vladimir was the son of Sviatoslav and Malusha.